The public have spoken – they want an inquiry into academies! 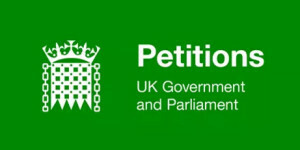 The Anti-Academies Alliance is delighted that our petition for a public inquiry and referendum into academies has raced to hit 100,000 signatures in under four days. The speed with which the public have reacted shows that they understand just how damaging and dangerous the government’s latest education white paper is. 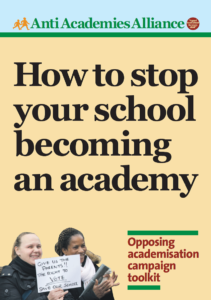 The ironically titled ‘Education Excellence Everywhere’ will force all schools to become academies, cut the need for consultation, get rid of parent governors on school governing bodies, and remove the need for qualified teachers in school. This is the complete dismantling of state education. It is a scorched earth proposal. We fully expect the government to hold the inquiry that the public have demanded. If they do not we will work with parents, students, unions and academics to build our own. 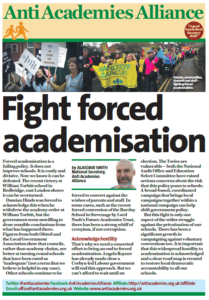 If academies are the educational panacea that the government claim they can have nothing to fear from a full and forensic examination of the evidence. This is a great idea, why does gov’t know more about education than local authorities? I am utterly appalled at what this Government is doing to our Education system. I fear for our children’s future. This s a terrible idea. So the Government should sort out the failing academy trusts before they cause more schools to be run badly by forcing them into the hands of incompetents. 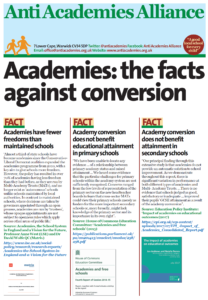 81% of Primary schools are rated as good or outstanding so why the need to convert these schools to academy status. Excellent work. Well done Bridget and AAA.